I am a 27 year old from a small town in Wiltshire (UK). I’m engaged to my partner of 12 years and Mother to 2 beautiful little boys and a pug called Doug. My blogs will be dedicated to all things girly from fashion, hair, make up, home ware, baking, crafts. However I’m sure guys will find the some use for my blog to with all the recipes, giveaways or gift ideas there are. Now I’m not by any means a professional in any of these fields! However I feel this can be a place that we can learn (and fail no doubt!lol) together! Please get involved as would love as much input as possible from all those who wish to be involved. 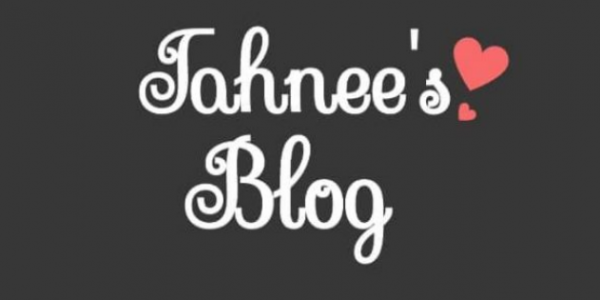 Also head over to @TahneeBlog and give it a little follow!! Hello you lovely lot so I have been blogging now for 9 months and I have to say it is really helping! I am making more effort with myself but I am still not 100% there! In the new year I am going to really push myself with the next steps of getting back to my old self! Making sure I do my makeup a little more often but more importantly taking better care of my hair lol!! My favourite thing about blogging though is finding amazing stuff to share with you all!! Also let’s not forget ‘Tahnee’s Blog’ may still win a UK Blog Award next year which I am still so overwhelmed about it’s crazy!! With a huge shout out and thank you to the amazing companies I got to work with this year! I’ll continue to update my personal progress here as I like sharing how far this has come. Thanks for your continued support. I lack the words to explain how truly grateful I am.